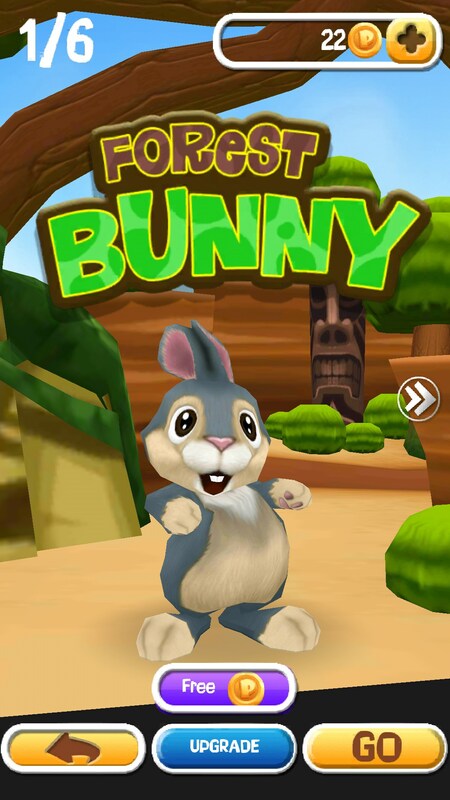 Bunny Run – Games for Android 2018 – Free download. 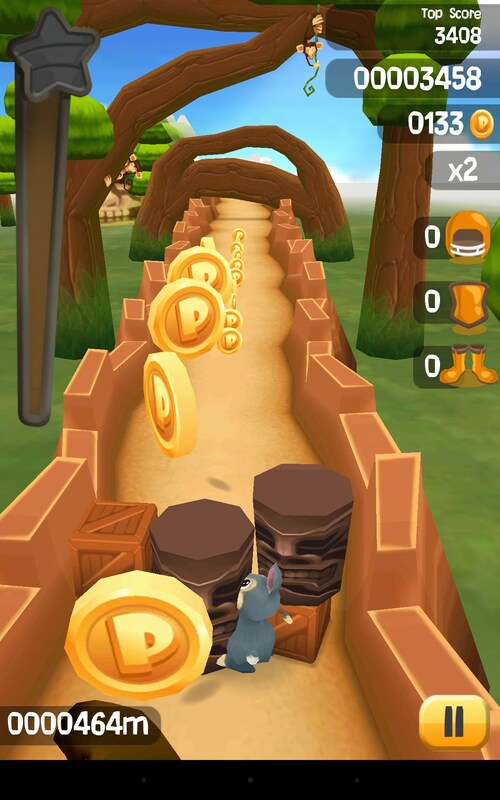 Bunny Run – Cartoon runner about animals. 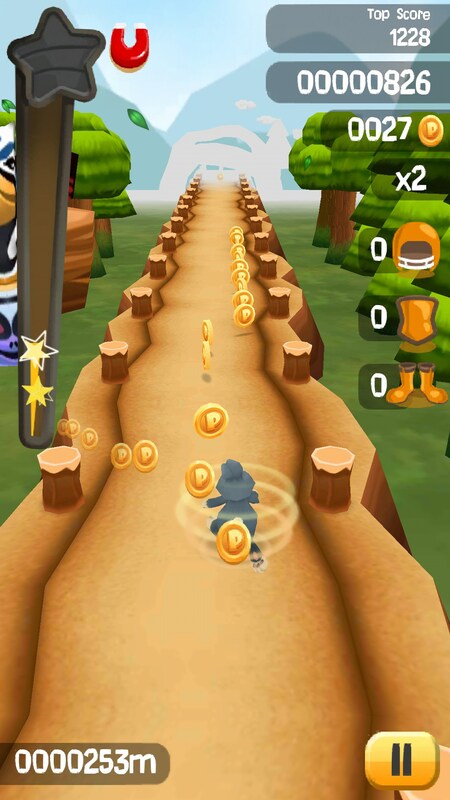 Bunny Run is yet another runner game for Android devices that is very similar to its counterpart called Panda Run. Both games feature the same graphics, controls, and similar background settings. 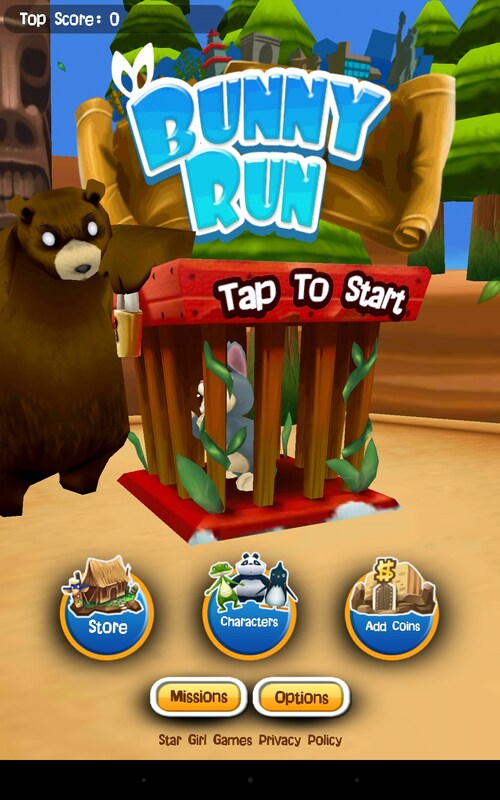 However, this time you will need to help a bunny run away from a fierce bear who keeps it locked inside of a cage. 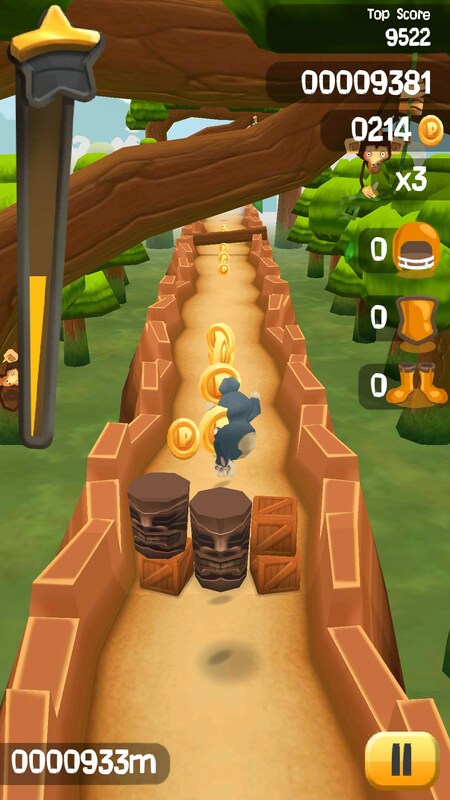 The game controls are very standard for all runners: move right or left using your g-meter, turn by swiping the screen, and swipe up and down to jump and slide. However simple, the controls cannot be called responsive as sometimes it will be difficult to make this or that action on time because of the long response time. 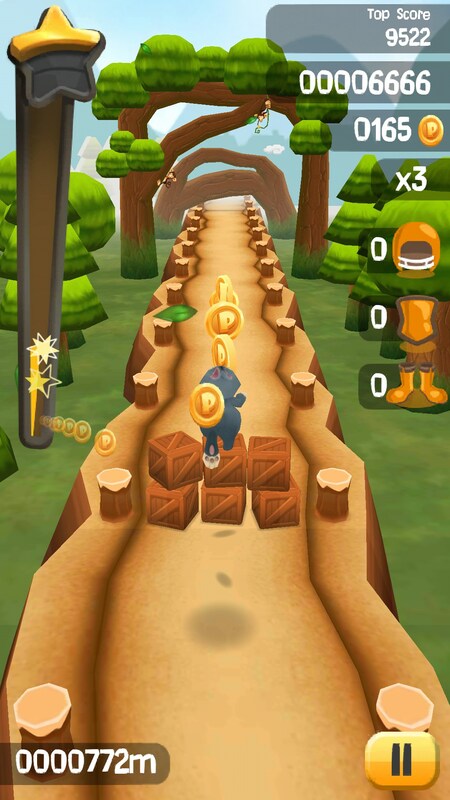 There will be pretty many different obstacles like walls made of crates, trees, pits, logs, and so on. Coins that you will need to collect can be spent on upgrades or reviving your character after you crash into something. The environment of levels will change depending on how long you survive without dying. 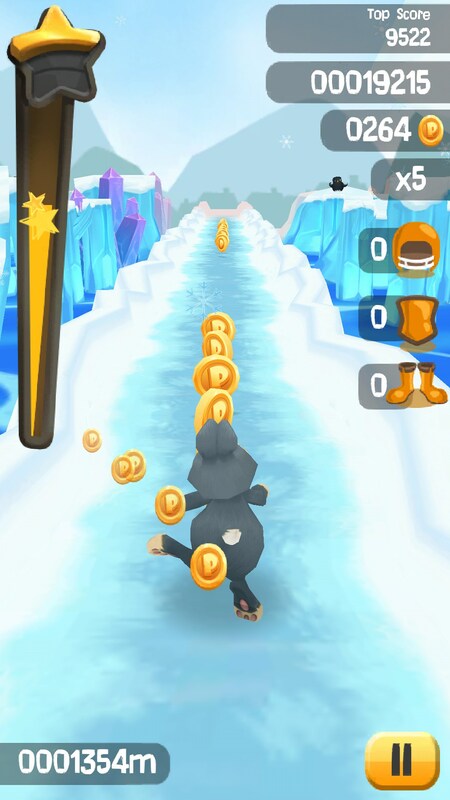 Bunny Run is a runner game for Android device that, almost exactly as its counterpart called Panda Run, didn’t bring anything new into the genre and is pretty standard. 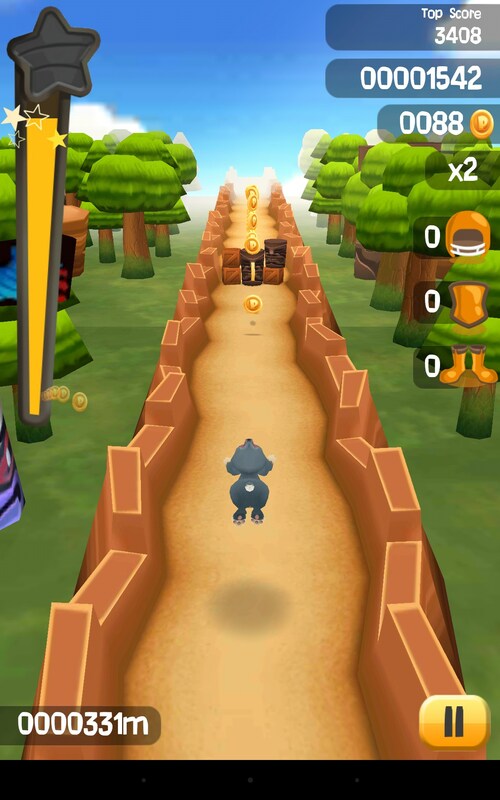 Among the game drawbacks are not responsive controls and monotonous gameplay. 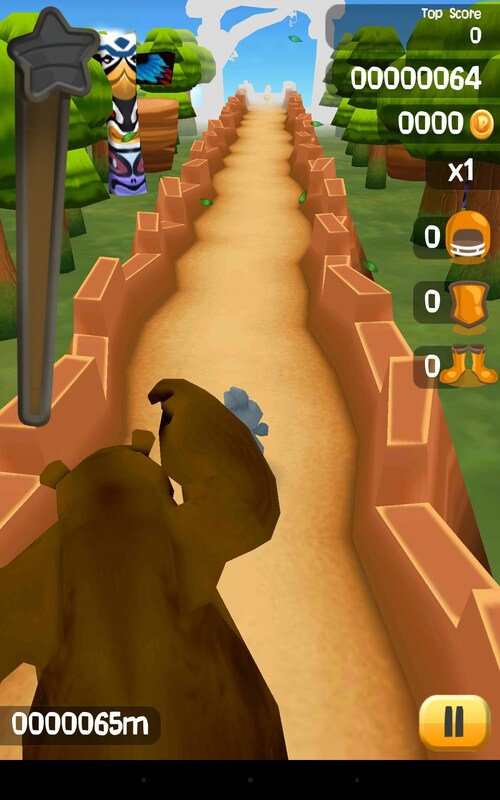 Bunny Run for Android is a barebones and somewhat stuttering platformer. This one's about a bunny rabbit who collects coins... sorry carrots! There are all the usual trappings of a hopping good platformer: jump on enemies, like the farmer, to take them out. There's a double jump. There are ledges and gaps to be carefully navigated. But it's all a little bit blocky and clumsy. The blocks the levels are made out of seem to big, so that it's a challenge to control your leaps with any finesse. The levels are short and sweet, sure to appease even the most attention-span-lacking of players. 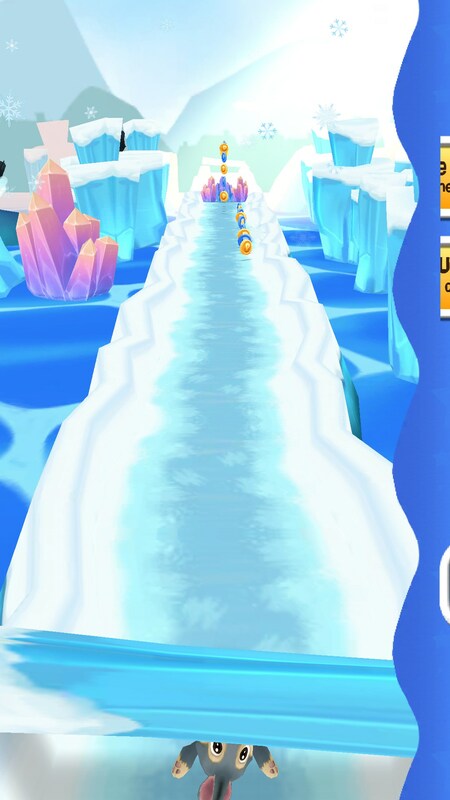 This is a truly stripped down game, where all you need to think about is successfully jumping between the platforms. The bunny just runs continuously, unless he runs into something and stops. So it's just a one button game for jumping. 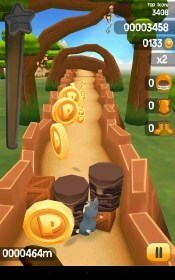 Unfortunately, Bunny Run lacks detail. There's varying levels of contrast between the background and objects you need to interact with. That makes it quite difficult to tell what things you are supposed to interact with, and what is just in the background as decoration. That kind of kills it for me to be honest. While eminently playable and uncomplicated; altogether it just feels a bit tacky.